Born in new Delhi, India, Dr. Vijay Rajput started Learning Music at a tender age of eight. He acquired his initial training and guidance from Pt. M. G. Deshpande, Pt. VinayChander Mudgal and pt. Madhup Mudgal ji.Subsequently, he had a rare opportunity to learn for many years under the tutelage of world renowned Bharat Ratna Pt. Bhimsen Joshi Ji. He has acquired M.A., M.PHIL., PH.D.Degrees in Hindustani Classical music from the University of Delhi. As a maestro of khayal style of rendition and an artist of international repute, his performances have mesmerized audiences in India and abroad. 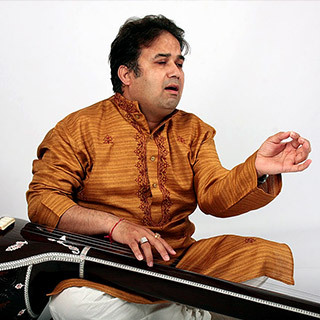 He has performed in many national and international Sangeet Sammelans festivals and Mahotsave. He received KALA JYOTHI award in 2010 for his excellent contribution in educating and promoting classical music in the North East of England. Copyright 2016 - Pt. Vijay Rajput. All rights reserved.